Hay Creek Hotels announced today their strategic alliance with the new Roundhouse at Beacon Falls Hotel located in the scenic Hudson Valley Region of New York. The premiere boutique hotel will offer 56 thoughtfully appointed hotel rooms, designed by award-winning architecture and design firm Rockwell Group, whose work includes the W New York Union Square, Canyon Ranch Hotel & Spa in Miami Beach, and The Cosmopolitan of Las Vegas, among others. The hotel will consist of three buildings: The Roundhouse and The Mill (two historic mill buildings joined together). The Roundhouse features 14 rooms, including two penthouse suites with private roof decks providing stunning views of Fishkill Creek and Beacon Falls. The Mill has 42 rooms with one-of-a kind views of both Beacon Falls and Mount Beacon. Both buildings feature distinctive works of art from The Roundhouse Art Collection and are just steps away from the shops, markets, galleries, and restaurants that make Beacon the jewel of the Hudson Valley. 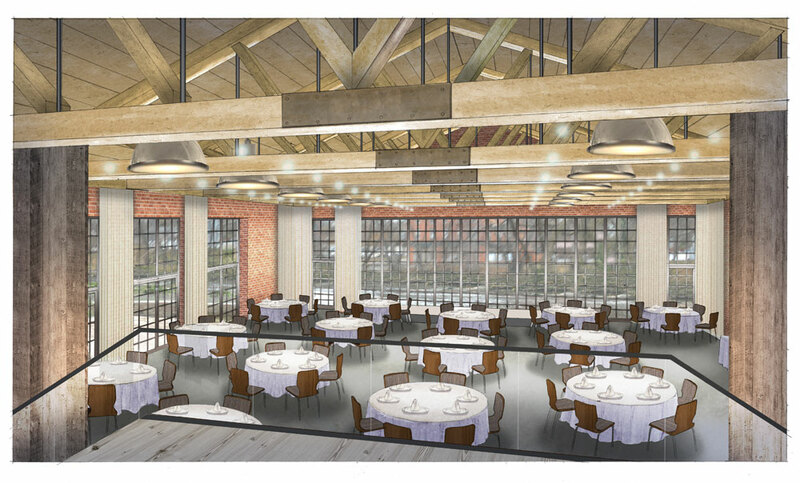 The restaurant and lounge will open this coming spring, the Roundhouse hotel will open this summer, and The Mill and full service spa are scheduled to open later this year. The Roundhouse restaurant will serve a locally inspired, seasonal menu, craft beer, and artisanal cocktails. Guests will enjoy stunning waterfall views through floor-to-ceiling windows in the spacious dining room. The restaurant provides a gorgeous setting for enjoying an exceptional meal or distinctive cocktail. The beautifully designed event space, The Waterfall Room, opens up to a wraparound terrace and will become a one-of-a-kind setting to host weddings, corporate events and special occasions. The Gallery, a mezzanine space atop The Waterfall Room, will be a perfect spot for a pre-event cocktail hour. The private dining room, located in The Roundhouse building, will offer an intimate setting for post-wedding day brunch, business luncheons and dinners as well as private parties. Historic Beacon, New York is a charming city with bustling shops, galleries, and restaurants. The hotel is located a short distance from the Metro North train station and is just a 70-minute train ride from New York City. Beacon is also home to Dia:Beacon, a museum housing a renowned permanent collection of major large-scale works of art from the 1960s to the present. Beacon is a unique destination to spend a weekend browsing art galleries, shopping at the local farmers market, and perusing antique shops. In addition, many guests enjoy visiting nearby historic Hudson Valley towns such as Rhinebeck, Hudson, and Cold Spring. The hotel is currently accepting reservations for weddings, functions and corporate events. Founded in 2005 Hay Creek Hotels combines veteran hospitality industry experience with fully integrated management systems that were specifically designed for the small upscale property. Hay Creek specializes in the development and management of independent full service hotels, inns and resorts in the 35 to 225 room range , with hotels in New England, New York and the mid-Atlantic states. For more information and to view our fine collection of hotels, inns & resorts.